If you thought the world couldn’t possibly cough up yet another deep-fried food oddity, you were wrong and you’ll probably be wrong again if you think people will ever stop chucking things into hot oil. 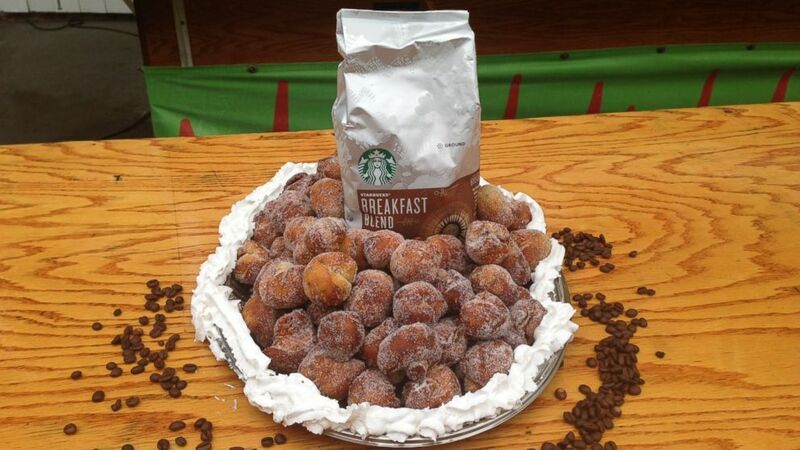 The deep-fried trend is especially prevalent at fairs and festivals, with this year’s nominee for freakish fare showing up at the San Diego County Fair to much ado: Deep-fried Starbucks coffee. No, not just any coffee, apparently it must be Starbucks, as seen in the sign at the Bacon-A-Fair booth and on the cups the food comes in, reports FoodBeast. And if you’re imagining a piping hot crust filled with molten coffee, which sounds like something you’d inflict on your enemy so as to render him incapable of using his tongue ever again — it’s deep fried balls of ground coffee, dusted with sugar and topped with whipped cream. It comes on a stick, as fair food tends to do. If you experience this in the wild, please feel free to send photos and impressions to us at tips@consumerist.com.